Victory Belt, has fast-tracked its release. “I was 48 years old and had been sick for over sixteen years. Before I became ill, I had been a researcher at a national lab, an adjunct professor, and a member of a local dance company. 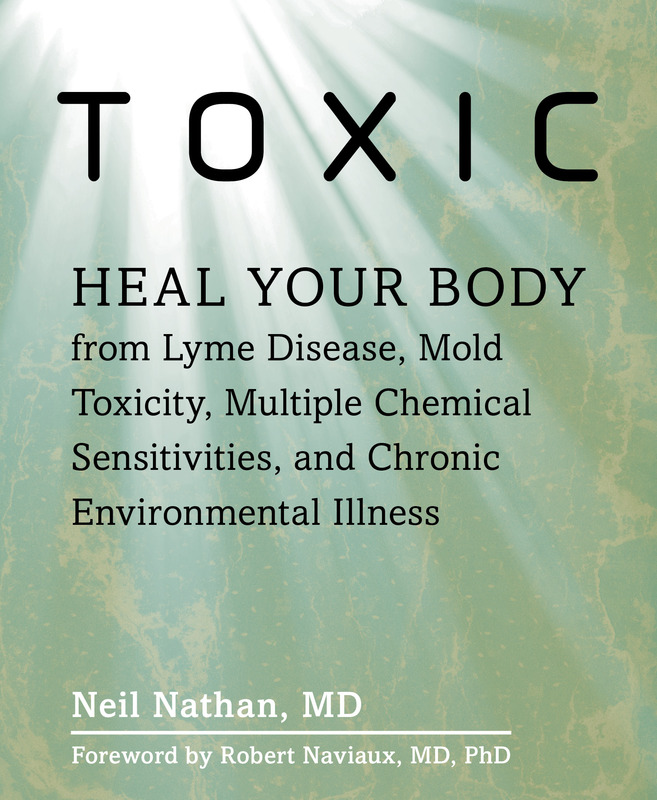 I had been diagnosed with Lyme disease, suspected I had been exposed to mold, and had an extreme level of light sensitivity triggered by the antibiotic treatment for her Lyme disease. The light sensitivity manifested as a deep, sunburn-like burning on my face and the backs of my hands. Initially I was only affected by sunlight, but eventually regular room lights began to burn me. When I found Dr. Nathan, I had been living completely housebound and in the dark for seven years. I hadn’t seen the sun in fourteen years. I used modified (to be dimmer) flashlights to navigate daily life, and all my windows were covered with blackout fabric that was taped at the edges. Even a few seconds exposure to the light from a television or computer screen burned me. My husband had to remove the light bulbs from our refrigerator, dryer, and oven. My house was so dark, I couldn’t see my hand in front of my face. It would take months to recover from an accidental flick of an untaped light switch. Just getting access to medical care was a challenge. My problems started in 1996 with bilaterial achilles tendonitis that made it difficult to walk without pain. This was followed by chronic dizziness after a minor car accident in 1998, followed by bilateral carpal-tunnel-like nerve pain that disabled me to the point where I was no longer able to work as an electrical engineer in 2001. In 2003, I tested positive for Lyme and the coinfections, Ehrlichia, Anaplasma, Bartonella, and Babesia. After a 3-day course of Zithromax for a diagnostic test, I developed a deep sunburn with minimal sun exposure. Three months after this initial reaction, the burning still had not resolved, but I began Lyme treatment and took antibiotics for 4 years while avoiding outdoor light. This resolved my carpal-tunnel symptoms, but did not resolve my chronic fatigue and joint pain. I never felt like I got well on the antibiotics, and I eventually discontinued them, hoping my light sensitivity would go away. It didn’t. I also tested highly positive for mold antibodies. In 2007, I moved and got rid of all of my belongings, but did not experience any improvement. In 2010, I experienced a six-week-long excruciating period of burning on my face. In this time period, I also had to take a week of antibiotics for an infection, and that worsened my light sensitivity to the point where I had to avoid regular room lights and live in the dark, becoming completely housebound. In 2013 my vision began to oscillate. Any movement made the world look like it was bouncing up and down. In the spring of 2016, I began to experience crawling sensations on my skin. Daily life had been hard enough, but this symptom felt like my breaking point. I tried supplements to help my methylation cycle, and I tried binders and glutathione in what I thought were small doses. I tried one sip of one drop of low dose naltrexone in a glass of water. They all made me feel worse and I had to discontinue them. Herbal treatments were tolerated better, but I was still sensitive and didn’t recover. I was often puzzled that something would help initially, but ultimately make me feel worse. Everything I tried seemed like a false start and a dead end. Nothing budged my light sensitivity. It felt like banging my head against a brick wall. My symptoms were phototoxicity, oscillating vision, a feeling of eye pressure, chronic fatigue, body ache, joint stiffness in knees, toes, and fingers, heart pounding, dizziness, light-headedness, history of fainting and pre-syncope, chemical sensitivity, post-nasal drip/chronic dry cough, intermittent low grade fever, feeling of head/sinus pressure, low resistance to colds and flus, and crawling sensations. I also had low thyroid and adrenal hormones, high rheumatoid factor, and I was low in two IgG subclasses. In late 2016, a friend told me about a book written by a woman who had also been living in the dark. I contacted the author and learned about MCAD. I started consulting with the author’s nutritionist in England, who linked my light sensitivity with a histamine problem. I started on a low-histamine diet, histamine-reducing probiotics, and Neuroprotek. And they helped! I was able to get back on the computer, where I found Dr. Nathan. As soon as I watched an interview of Dr. Nathan’s, I felt like I was one of his “sensitive patients.” I emailed him, and his office’s (Cheryl’s) reply was so quick and so kind it brought tears to Betty’s eyes. Most doctor’s weren’t even willing to talk to me if I couldn’t come into their office, but I could tell Dr. Nathan had read my medical history thoroughly, and he answered all of my questions. I was also very grateful that my local doctor was extremely open to working with Dr. Nathan. I started with Annie Hopper’s Dynamic Neural Retraining System and found it tremendously beneficial. I immediately felt like my fatigue reduced by about 80%. I continued with Neuroprotek, the diet and probiotics, and gradually added in Claritin, ketotifen, Perimine, Allqlear, DAO, Chinese skullcap, ToxEase, Renelix, Itires, Viscum, and Psy-stabil. And—to my amazement—I started to recover. My light sensitivity improved and the crawling sensations lessened. After my RealTime test came back positive for ochratoxins, tricothecenes, and gliotoxins, I started Saccharomyces boulardii, chlorella, and bentonite clay. For several months, I could only tolerate one drop of the bentonite clay, but from the first dose my oscillating vision started to go away. The idea that “less could be more” was a revelation to me. Eventually I was able to add in cholestyramine and charcoal, and the nystatin spray. At first, I couldn’t tolerate even the small doses that Dr. Nathan suggested. But slowly I was able to take more, and at about six months into treatment things really started to shift. I started with a string of red Christmas lights, then began to open my blacked-out window shutters a minute earlier every day. I became able to exercise. I was able to take some of the burden off of my husband who was also severely ill with Lyme and mold illness. I cried from pure joy the first time I saw the sun again (while listening to The Cure). There are, unfortunately, thousands of people, like Betty, whose lives have been disrupted completely by their illness. Because the description of her symptoms are unusual and vivid, few physicians were able to listen to these symptoms without dismissing them out-of-hand as being “obviously” psychological. The only thing obvious to me was that they did not understand what was being communicated. This was not a psychological illness, but rather a consequence of mold exposure and infection with Lyme and coinfections, that created this debilitating sensitivity. Once understood, it could be treated. It is heartwarming for me to be able to help the Bettys of this world to get their lives back. 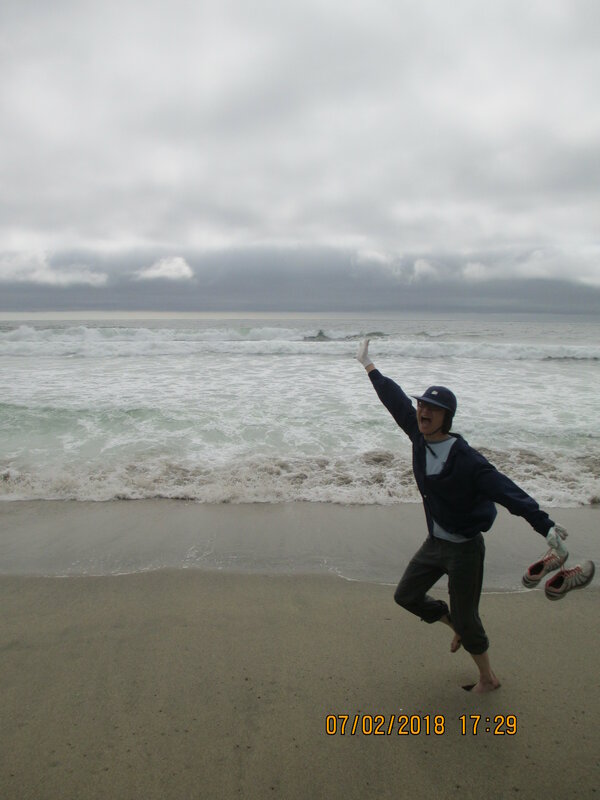 Just yesterday she sent me this picture of herself frolicking on the beach at Point Reyes! I hope and pray that patients and health care providers, alike, can listen to this story and appreciate that no matter how disabled a patient gets, there is real hope that they can fully recover and get their lives back. May this information resonate for you and enable you to find your path for complete healing.